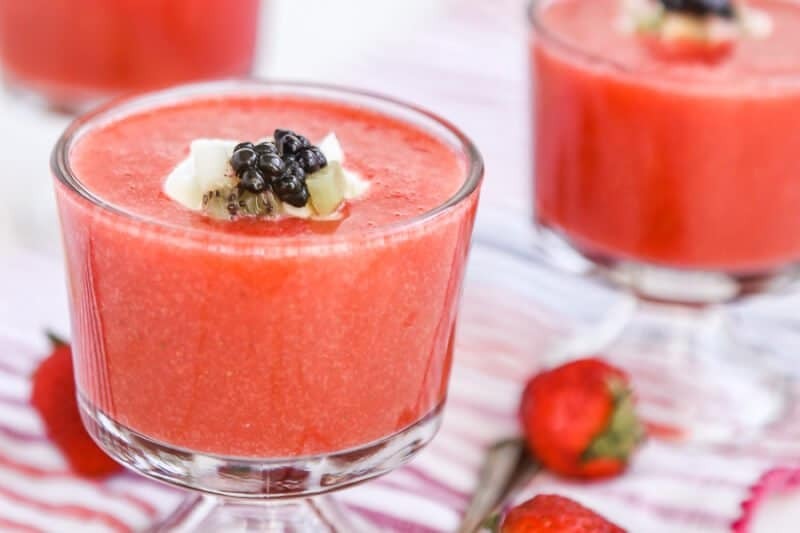 This strawberry soup recipe is fresh, sweet, and delicious. The perfect summer entertaining recipe. Every once in a while you order something at a restaurant and what they actually bring you is nothing like what you expected. It’s those unexpected surprises that are the best. 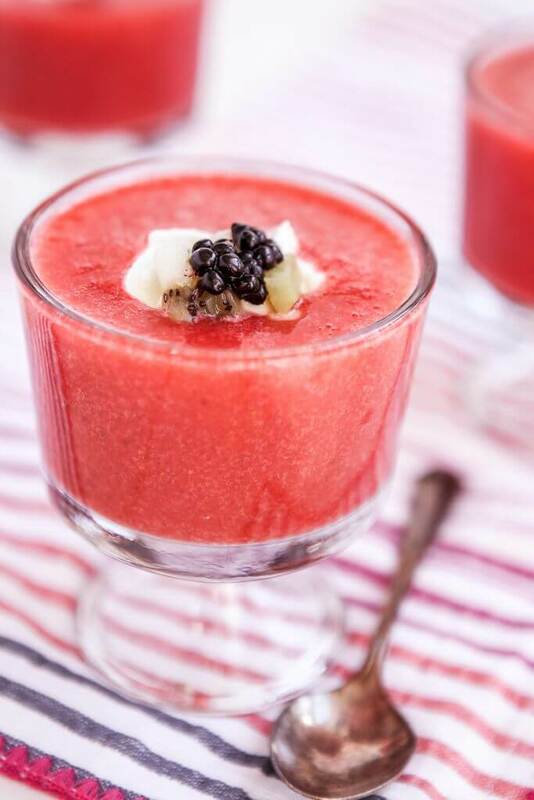 This strawberry soup recipe is loosely based on a dessert we tried at one of our favorite local restaurants. 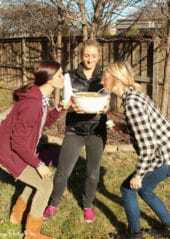 A dessert that completely blew away our expectations, enough that we immediately came home and tried to recreate the soup at home. 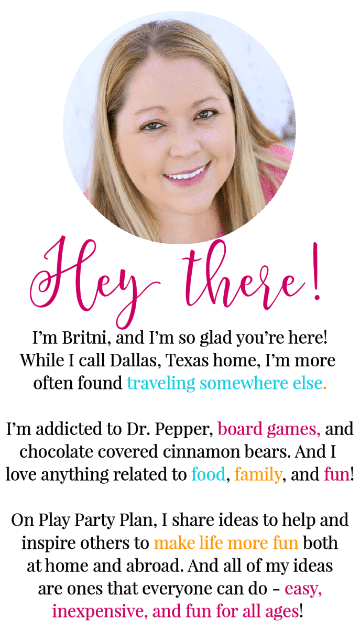 I’m so excited to share this recipe in partnership with Braun. While this post is sponsored, all content is 100% honest and my own. 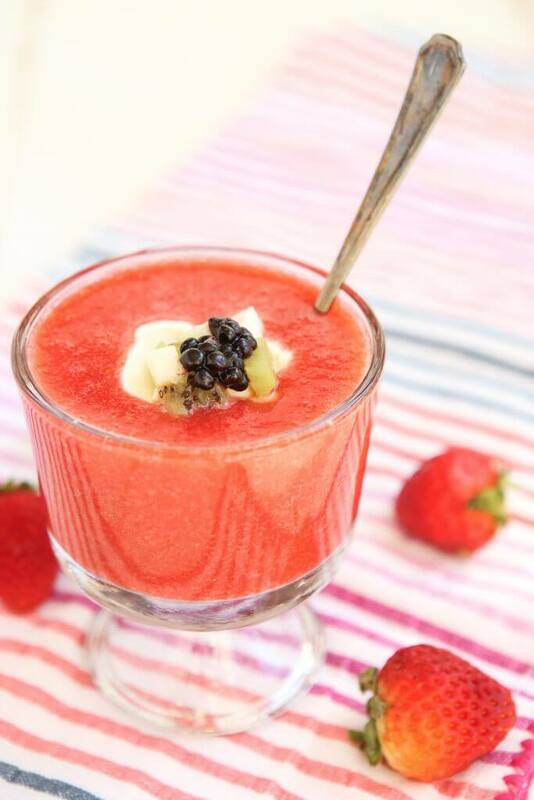 This strawberry soup is the perfect refreshing dish for summer. 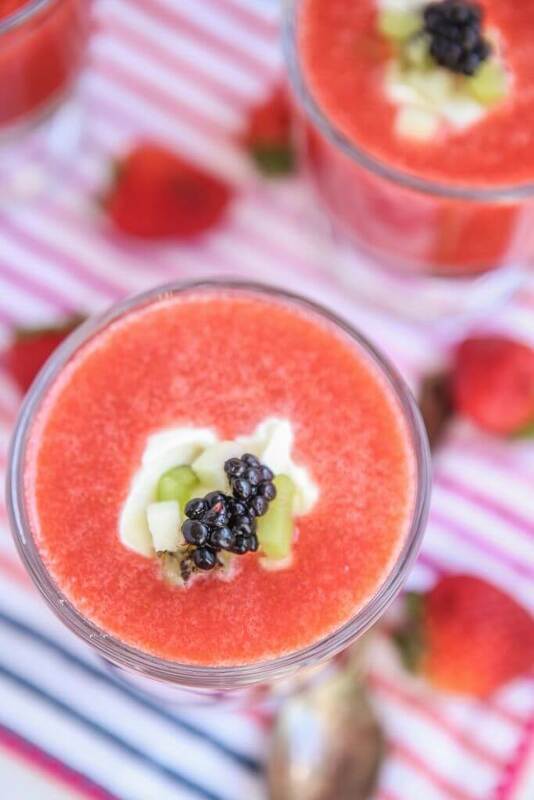 Serve it chilled at an outdoor BBQ, at room temp with other appetizers at a baby shower brunch, or as a healthier dessert for a family dinner. 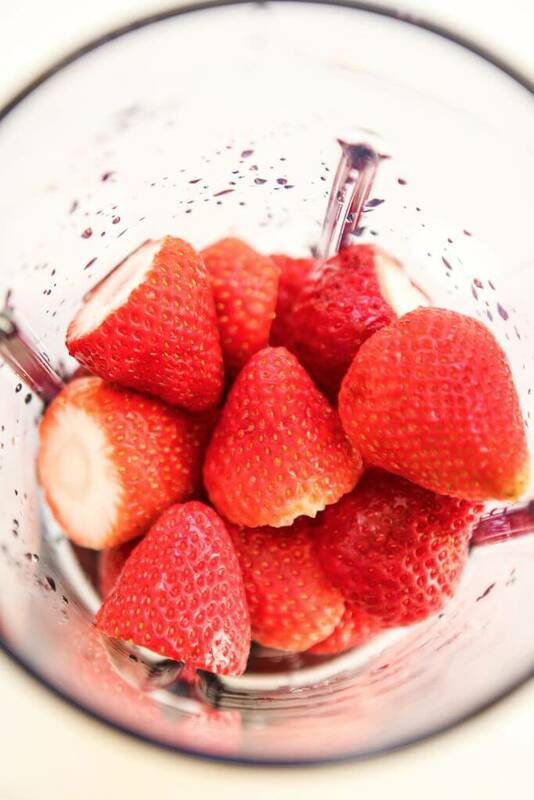 It’s especially good right now when fresh strawberries are in season and naturally sweet. 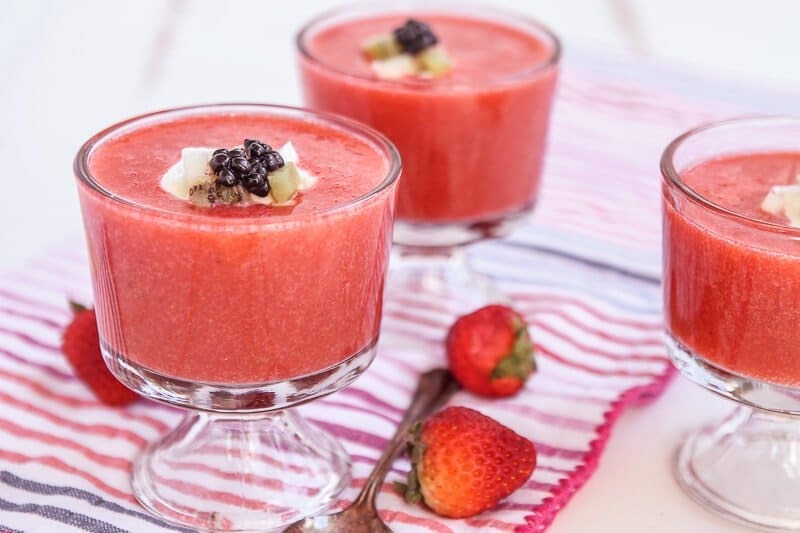 In the middle of the summer when no one expects you to serve soup, this chilled strawberry soup is a great way to conquer their expectations. Speaking of summer, Braun just launched a new line of kitchen products that are available just in time for summer cooking and entertaining. The new line includes everything from the Braun Multiquick 7 Hand Blender MQ777 that I used to make blueberry whipped cream to a high-powered PureMix Blender JB7172BK with seven fun built-in settings like crush ice, chop, puree, and more! 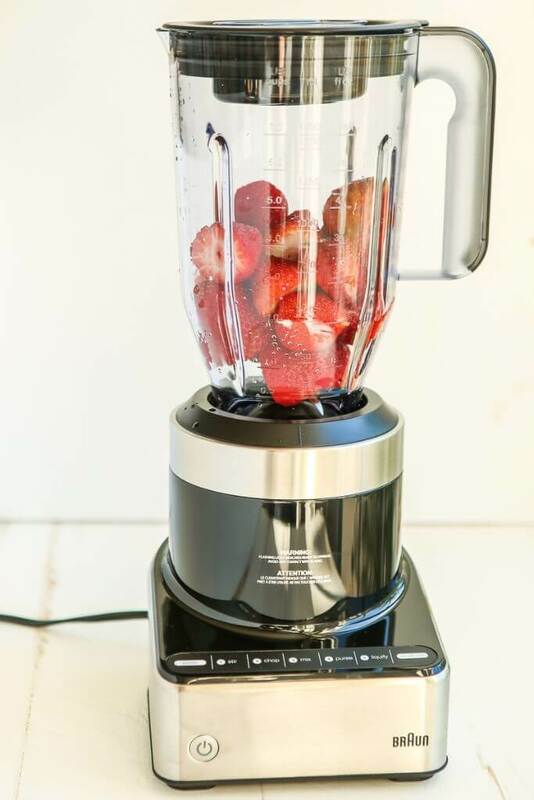 Wash your strawberries, toss them directly into the blender, and chop them up using the handy chop setting. Then add your simple syrup and use the liquify button to turn the mixture into a liquid. If you’re particular, you can strain the soup with a mess strainer or skip that step like me and just go ahead and put the soup right into the fridge to chill. That’s really all there is to the soup. You can serve it chilled all by itself or take it one more step and serve it topped with a dollop of this fruit dip and some chopped up fruit kiwi, green apple, and blackberries. Or pick your favorite tart fruit (to contrast the sweetness of the strawberries) and use that instead. 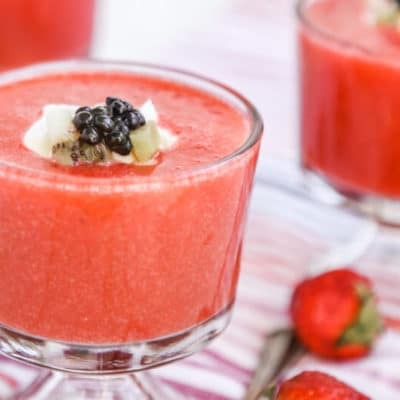 Simple and refreshing strawberry soup recipe that you can make in just minutes and enjoy on a hot summer day! Combine water and sugar in a saucepan over medium heat. Heat simple syrup until sugar is completely dissolved, 3-5 minutes. 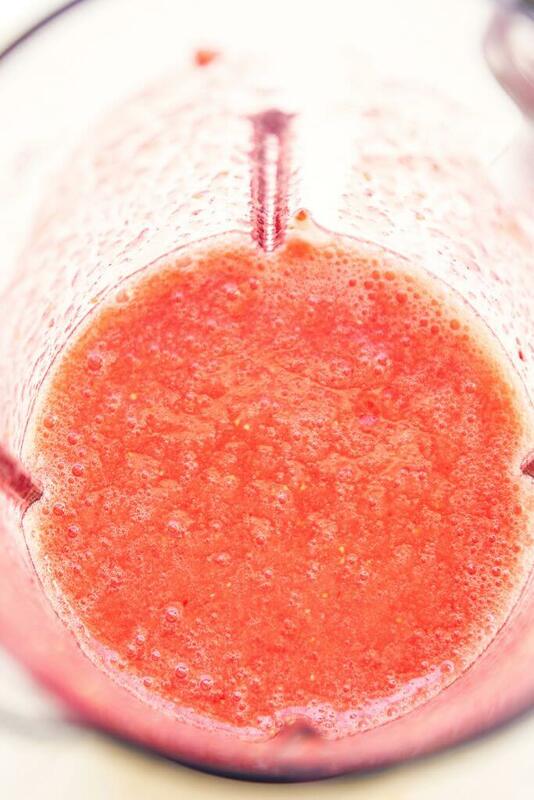 Put strawberries and simple syrup in blender and blend on liquid setting until liquified. Top with a dollop of fruit dip and chopped apple, kiwi, and blackberries. Oh! With strawberries being in season right now in Iowa, I’ve gotta try this! I’m one of those weird people who LOVES soup so much that I can even eat it in the summer. This strawberry soup looks so yummy. I can’t wait to try this recipe out. I definitely had not heard of Strawberry Soup before today. I love just about anything with strawberries – So I definitely want to try this, and soon! I’m crazy for strawberry soup and I make it often, especially during the summer. My recipe is a little different, so I can’t wait to try your version. It looks so amazing. This sounds so refreshing for summer. I just picked up a lot of on sale strawberries so I could definitely make this. Okay, this sounds and looks delicious. I have a teenage vegan that would LOVE to give this recipe a try. I have never had strawberry soup. This sounds very interesting. I am hosting a baby shower for my friend and I think it will fit into my menu. I have honestly never heard of strawberry soup before, looks delicious! 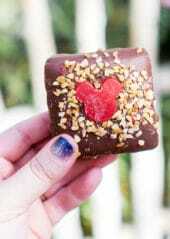 How yummy does this look?! We just spent the day berry picking so I really want to try this out! Mmmm what a great summer treat! I am very curious to see what this tastes like. This is such a great idea for all our strawberries (and maybe blackberries too) in the garden! 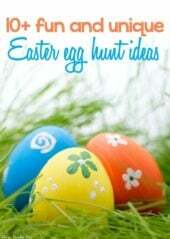 I love finding new recipes for our homegrown food! I’ve never tried soup made with fruit like strawberries before. It sounds like the perfect refreshing treat for the summer months. I have to admit that I haven’t tried strawberry soup but, looks super tasty! YUM. That looks and sounds so delicious. We pick strawberries every year and I make all sorts of things with them. Next time, I’d like to try your strawberry soup recipe.